This time it all started from the groove. The songs slowly took shape, it was the rhythm that guided us. It felt like the melodies needed a solid base to hang on to. At a certain point, for some reason Roberto’s keyboard was installed in Filippo’s house and in the middle of the night Filippo found himself playing a hypnotically acid riff that would gradually turn into Stars Spangling. Those are the nights in which there’s no way you can get any sleep, electrified by the euphoria that comes with the magic of inspiration. >Memories of a warm May afternoon spent leaning against a wall, paralyzed for an indefinite amount of time by a bass riff that was molding its way in our minds, and probably also capturing a piece of what we can timidly think of as…our soul. The stream of consciousness brings us to Soul for Blood, and here’s a vision of Alexei curved over a miniature guitar, or at least so it seemed compared to his figure, strumming a gentle chord progression that would soon magically turn into the inevitable opening track of Karisma. Gradually these embryonic grooves were turning into songs, this time we forced ourselves to let them grow, bloom and naturally make their way, trying to resist the temptation of crystalizing them into songs, fighting the fear of diluting the inspiration in a magma of improvisation. 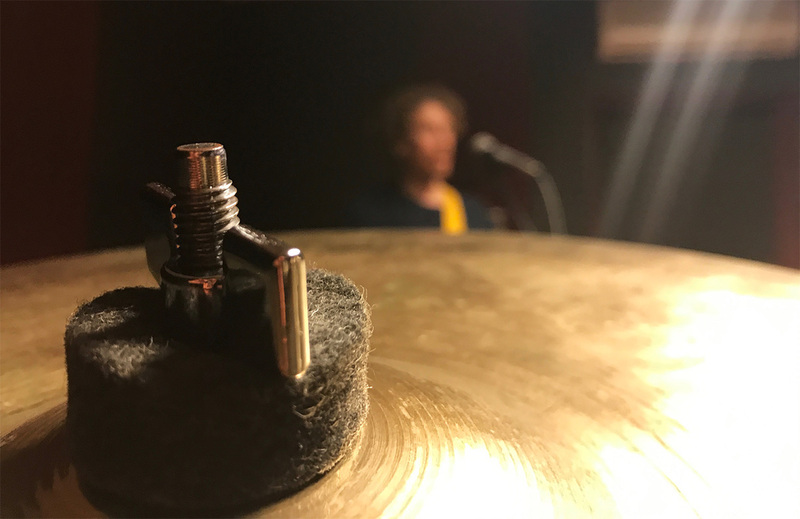 We gradually and discontinuously swayed from digital pre-production to physical pre-production moving back and forth form our home studio to the practice room. 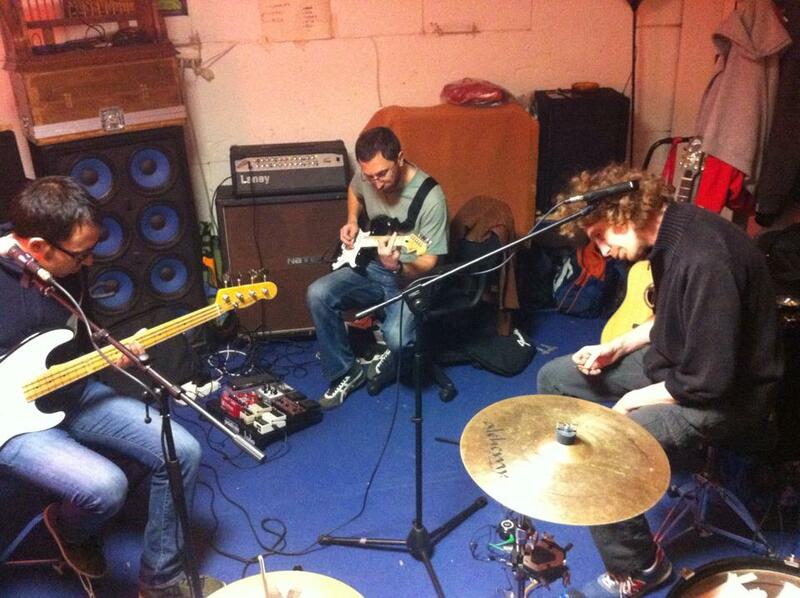 While Alexei and Tommy transposed the cold digital sounds of bass and drums from the computer to the real-life vibe of the practice room, Bobby, Filippo and Stefano started to entwine lyrics, melodies and vocal harmonies. Thoughts flow to the groove from Camouflage coming to life, and the first versions of Stefano’s unique delayed guitar loops on Hole in My Head, and the “heavy metal” spirit buried within us that emerges subliminally on Triangular. It’s not an easy task to evenly narrate a creative and productive process, also because we often rely on our faulty memories, but what’s for sure is that at a certain point we had to choose how to produce the record. 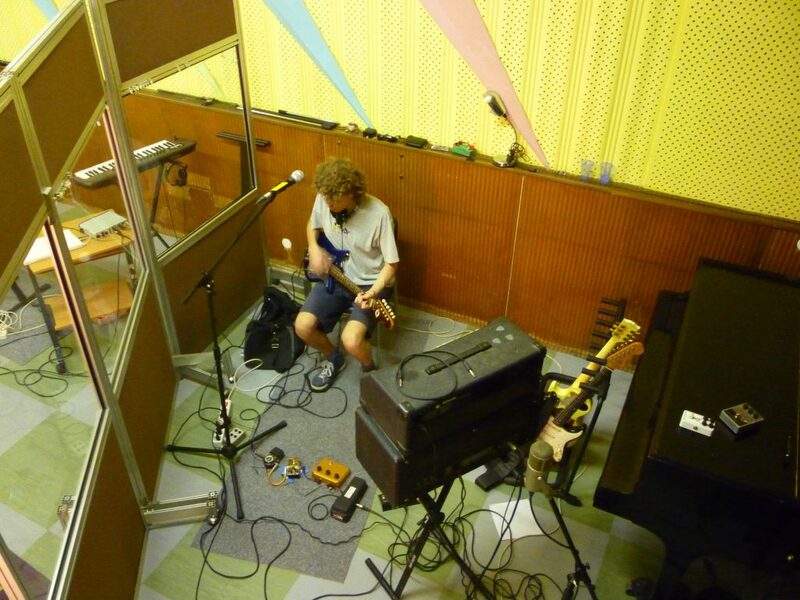 We started off with some live recordings at Studio 75 in Milan with the idea of recording a live album all the way. We soon figured out that the live feel was an essential part, but we also needed an extra touch, that’s when we naturally turned to Cooper – the man who can make records come ALIVE!! The first phase involved recording live at Mauro Pagani’s renowned Studio B at Officine Meccaniche, at the beginning of a steaming August in Milan. The studio was big enough to give us the freedom to play live, without having to think about being in a studio, even allowing us to smoothly record some of our beloved whistling feedback. In four days, we laid the foundations for all the 12 tracks. 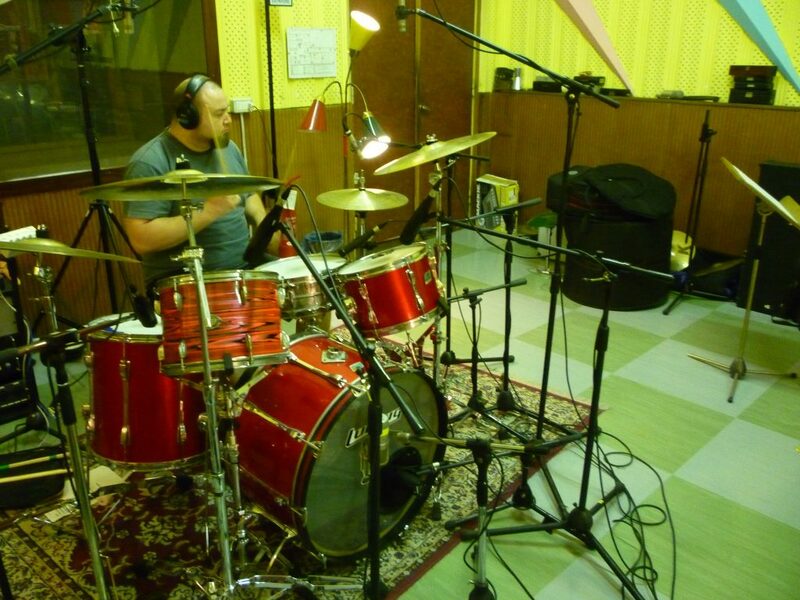 From those days, a few sparse images will probably stick to our minds forever: the dolphin stickers on Alexei’s snare drum, Bobby’s eerie improvised fender Rhodes on the finale of Hole in My Head (one of those things that only a live recording can capture), and our role as hand-clappers on one of Mauro Pagani’s world music productions. Unfortunately, we don’t have audio or video evidence of this, but believe it or not it’s all true. On top of these solid studio recordings we were now ready to weave in all the vocals, arrangements and overdubs. Cooper handed us his best mics and equipment to do this by ourselves giving birth to yet another creative adventure. Most of the vocals were recorded in our studio in Via Lombroso, but to get that additional live vibe on the final part of Certainty & Disenchantment we turned to the talented hand of musician, composer, and producer Pablo Quirici (leader of Fiumi and ex member of Lato and Scanfelato). 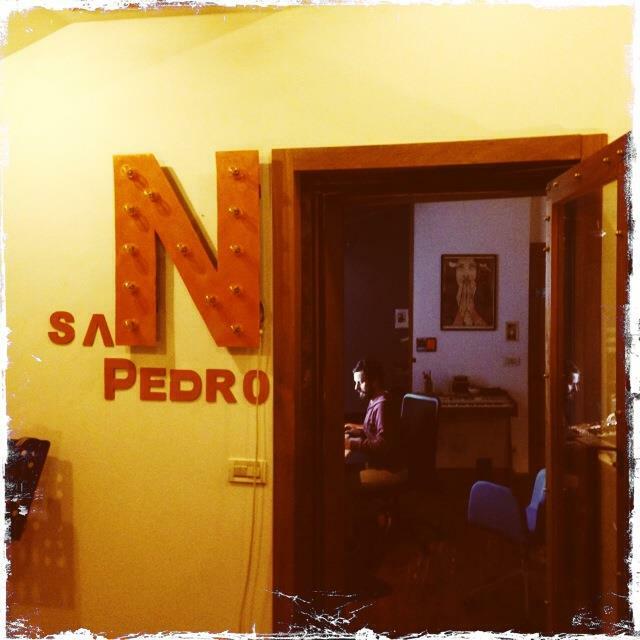 From his studio in Bologna, Pablo did an extraordinary job in capturing the closest thing to the sound we were searching for. Cooper does the rest, overcoming uncountable obstacles, undulating between the San Pedro Studio and his house, and finally putting together all the tracks, emotions and sound waves to produce the 12 tracks that animate Karisma.